You may be trying to get you home clean for a special occasion, or you may be a company trying to clean your offices. Either way, why not hire a company that can do all the hard work for you in one day? We are based in Hackney Wick and cover areas all over E9. We have teams of professional cleaners who can arrange everything with you and help you to get the best out of our service. We can book your one-off cleaning at any time to suit you for maximum flexibility and convenience. This is great for those who are too busy to do a big clean themselves and need a helping hand. If you want to know more why not call One-Off Cleaning on 020 3397 3282 and see what we have to offer. We are always looking to improve our service and house cleaning methods to keep our customers happy. Our company always strives to use the most environmentally friendly way to clean, using tools and chemicals that are kind to the environment. We know that it is things like this that is important to our customers and we do our best to maintain this level of quality. Our one-off cleaners are highly trained so that they can do the best work to a high standard. They also use the best tools available including vacuums and other cleaning machines that can remove dirt and dust quickly and easily. If you need more information on the one-off cleaning services we provide, then why not give us a call and see what we have to offer in your local area. Want to Know More about Hackney Wick? Hackney Wick is situated in east London in the boroughs of Tower Hamlets and Hackney. It is an inner city development but is very picturesque. In relation to other well-known places in London, it is 5 miles from Charing Cross. There are well accessible travel links through the local tube station Hackney Central. In the furthest east side you can find Hackney Marshes and also part of the Olympic Park built in 2012. Historically the area was very prone to flooding, to alleviate this canals were built and now this problem no longer exists. Hackney Wick has a mainline railway station as well as tube lines and the bus routes run regularly to all areas. Hackney Wick is also linked to the capital ring walking route which enables cyclists to easily mobilise around London and so is easily accessible for all commuters. Why not hire Hackney Wick Cleaners to Do That Important One-off Clean? We don’t mind doing the hard work of one-off cleaning a house or commercial property, after all that is what our company is all about. We have a great number of teams in Hackney Wick, E9 that are able to arrange a visit at a time to suit you. We can clean any type of home or property and even holiday homes for those who are opening up for the summer. 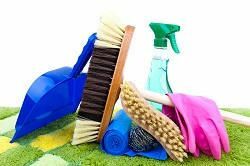 Our one-off cleaning services are also good for those who are cleaning up a property ready for sale or letting. We always use the best cleaning solutions and tools to make sure that you get the best results. We want you to love our home cleaning service and be happy to tell your friends about what we do. If you want to know more, call One-Off Cleaning now on 020 3397 3282 for a free, no obligation quote.